It is amazing how ironic life is, whilst the families of those who died in the Bayelsa helicopter crash must be mourning this tragic event, singer and West African Idol winner, Timi Dakolo is thankful that he and his wife did not board the same helicopter. Rumours had been flying throughout cyberspace that he might have been one of the casualties of the crash but the singer took to Twitter and tweeted: "God saved me...". 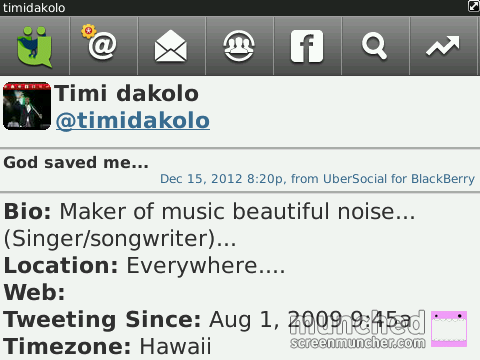 Indeed, Mr and Mrs. Dakolo, God saved you.